Amarnath Yatra, Jammu and Kashmir. Lots of people undertake the Amarnath yatra for faith and ecstasy. And Believe you me ,there is no doubt the journey is tough but at the same time self exploring. I undertook this journey this year in July and foundÂ it to be a journey full of Experiences , Faith and Ecstasy. It all started early this year when I read the famous book Immortals of Meluha and got inspired by the mighty Lord Shiva. An uncle of mine, who took this yatra 40 years ago was full of stories and energies to be experienced enroute,adding to my inspiration of undertaking this journey of Faith. Coming from an Arya samaj follower family,Lord Shiva was never discussed as a Hero in my childhood. Being an Avid trekker, and having trekked and explored India, I got fascinated to Lord Shiva and to explore the Biggest Faith on Himalayas. I enrolled myself for the yatraÂ in March by visiting nearest J&K bank and the preparations started. The Road journey to Amarnath. My journey from Amritsar to Amarnath cave was full of surprises and hurdles. When I reached Jammu I was informed that the Yatra is suspended due to rain and so is Jammu Srinagar highway. Here I was gloomy and disappointed waiting for highway to open. 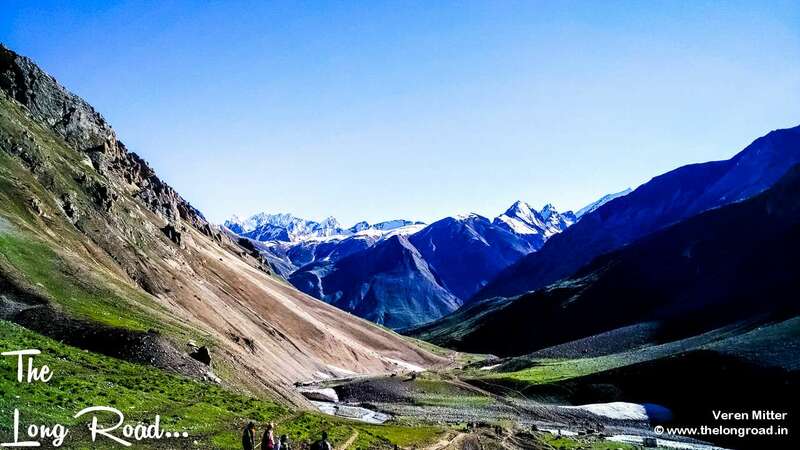 Then it came in my mind to reach Srinagar via alternate route THE MUGHAL ROAD, crossing Akhnoor, Rajouri, Peer ki gali and Shopian and finally starting pint to Yatra, Pahalgam. Few people in Jammu discouraged me to take this adventourous and longer route as the route is in proximity with International border with PakistanÂ and quiteÂ treacherous. I took a sigh of breath and decided to move on and not wait for main highway to open. The dots were beginning to be madeÂ and be connected later as some divine power was guiding my way and decisions. Enroute to Amarnath via Mughal road. Cloud seen below and we traverse above them. The rain god was happy to shower water all the way to starting point of Amarnath, that is Pahalgam. The route was treacherous at some points but exciting. I crossed Peer ki galiÂ and down to Shopian to enter Kashmir valley. The driver and my co passenger in Taxi suggested me to halt at Srinagar for night and continue the road journey the next morning. I was in two minds and then noticed a glimpse of sun god just before reaching Srinagar. 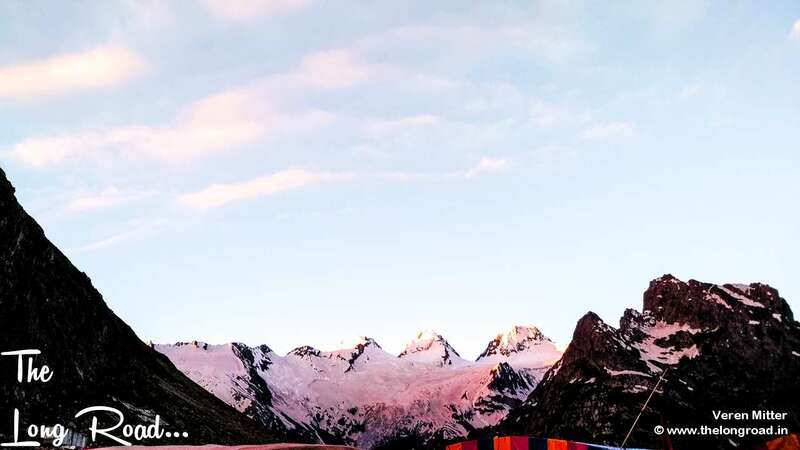 it was evening 6 pm but an energy came in me to carry on my journey to Chandanwari, Pahalgam from where my climb on foot starts. Being a solo traveller the decision was quick and I got down on the highway. The local suggested me to take a Bus/taxi to Anantnag and stay overnight. From Anantnag its 2 hrs drive and being in unknown territory it is not possible to reach Pahalgam the same day. I was standing on main highway and cloud were taking charge back again. I tried to take lift from few passing vehicles but with no success. Then came a black Maruti ErtigaÂ taxi with Mr Mohammad driving it along with a bearded Baba sitting next to him. Seeing my rucksack and stranger they stopped and asked where I am heading. I said please drop me to Anantnag and he said jump in. I was happy to find vehicle at that hour of the day and soon realised Sun had only come out to guide me towards my destination as itÂ started to rainÂ again. On further enquiring with Mr Mohammad he said he is heading to Pahalgam and I was so delighted to hear him. He soon became a friend and the Baba sitting next to him was in trans. It appeared as the God has sent his messenger to help me reach my destination. I reached very late to Pahalgam that night and Mr Mohammad offered me to stay with him atÂ his brother’s place at night. I was so happy that not only the hurdles were coming on my wayÂ but followed closely byÂ the solutions. God must have thought for me. Stayed with him that night and learnt the Yatra was closed from past three days and the opening of the same the next morning is not very sure. After the long day, I had my dinner and headed to bed. With rain throughoutÂ the night I got up early in the morning, with little hope of yatra resuming. I got ready by 4 am and with no sign of yatra getting resumed. I whiled away some time here n there and went for a small nap again. By 6 am I heard sound of helicopters and cars zooming past my location. I got the signal , the yatra has been resumed after long three days. Thanking my friend Mohammad, I took my rucksack and got a car lift till Chandanwari. On reaching Chandanwari the sight was grandeur and full of charge. People had lined up to enter the security gates with Har Har Mahadev slogan loud in air. The PeopleÂ stranded from past three days in Pahalgam were full of Josh and charge. They did not want to miss any opportunity to come close to Lord Shiva. The security check was well-managed with nice smiling security personnel. Though the rain had not stopped but it has gone into drizzle mode to fascinate the Yatris. Then came the huge bhandara/ Langar ( Free Community KitchensÂ offerring Meals set up byÂ Various religious groups) on way up. The camps were set to equip eaters with food, Breakfast, milk, fruits and dry ration to be carried. I had stopped for a while for having my share of breakfast but the place had to offer huge variety of it. I crossed the first leg and then came the juice and replenishment bar. The volunteers were giving Frooti biscuits and milk packs to be carried enroute. The smile and josh on the volunteer face was so welcoming that you forget its 34 kms climb to the cave. Yes it is a 34 km climb on foot or on mule from Chandanwari to Holy cave of lord Shiva. 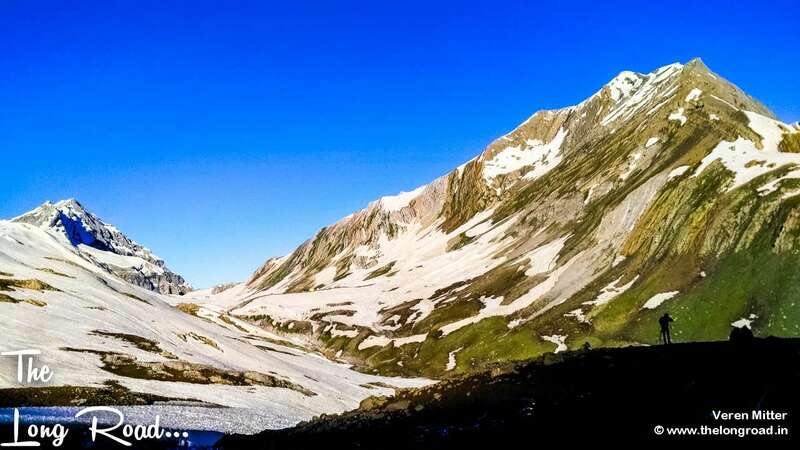 This isÂ the original route taken by Lord Shiva while going to Amarnath and offers magnificent nature views and experiences. The climb goes along the river Lidder with gorges to cross and trails to climb. The first leg of the climb is very steep and is called Hathi matha (Forehead of the Elephant). The climb takes its test as all weak climber switch to Mule in this stretch. The climb for me was arduous and difficult as the rain was pouring through out and one has to climb on 12 inch slush of mud and flowing water. The water down pour plays upon your motivation and distracts your mind to a different thought process which is not at all helpful in completing the climb. I took my rain coat on and with slow pace kept on the climb till I reach the next point called Pissu ghati. After the steep climb of Hathi mattha the routes get gradual in its gradient. The river Lidder can be heard but at a distance. The mythology of Pissu ghatti is Lord Shiva got rid of all his Pissu here and continued the journey. The view is breathtaking with mountain on one side and river on the other. Due to rain the visibility of the are around was minimal. I couldn’t have much scope to take my camera out and stop for a shot but still managed with some clicks from my mobile. Catching up the breath Enroute to Pissu ghati, Amarnath. Rain coat can be seen. Pissu ghati has another mythological story attach to it. It is said that once Devtas (Gods) and Rakshas ( Demons) had a conflict between them. The Devtas with blessings of Lord Shiv killed Rakshas and made powder of their bones. Thats why the place is full of small white pebbles and twigs. The climb gets gradual and easy from here. The tough climb of Pissu ghati leads into beautiful mountain and a trail traversing along its side. You can see pilgrims from all walks of life climbing with faith and ectasy with loud slogan of Har Har Mahadev ( Each one is Shiva) and Om Namah Shiva ( I Pray to Lord Shiva) . The view and charged people enthuse great energy in you to continue the climb. On way I came across an old gentlemen of 74 years of age on pilgrimage along his son from Uttar pradesh. The old manÂ was continuously climbing without any sign of fatigue or tiredness on his forehead. It invoked in me a sense of strength how people with strong mind continue to climb even under such harsh conditions. Actually its all in the mind. we urban brats thinks it to be too middle class but the real strength is in ones mind and not the things he poses. Har Har Mahadev. Amarnath pilgrim. 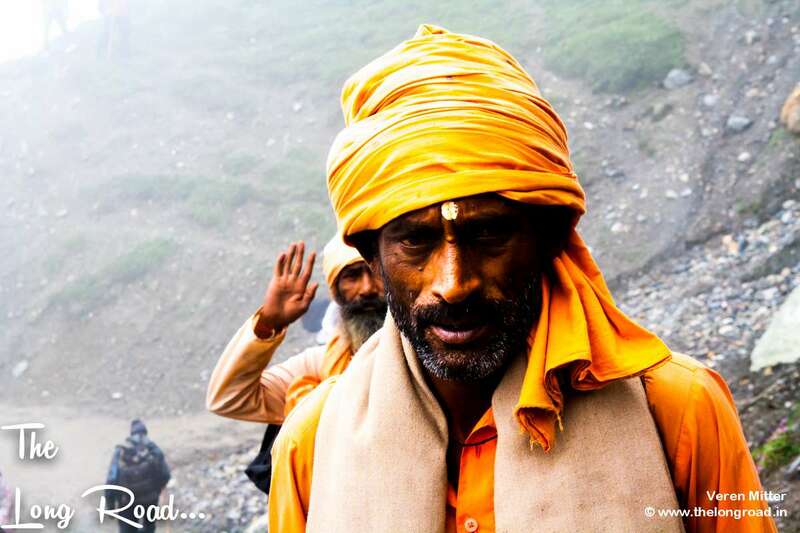 On approaching Jojibal I came across a set of Sadhus (Saints) going to Amarnath with mere basics to wear. They were bare foot and just a cloth to cover the body from rain and cold. I sat with them for a while and chatted. The sages were from Maharashtra india and undertake this yatra every year. What a commitment and they were above any social, modern things, with no possessions but Faith and God. Walking in rain with Lord Shiva in their mind and soul. The strength they posses was unparallel to any Urban yatri. As if they have been married to divine energy and nothing else is bothering them on their way up. I was about to reach Sheshnag and saw the a huge mass of water being locked by mountains from all sides with small overflow streams at one the edge. Afterwards realised the overflow water is the source of river Lidder and its a glacier. The sight was overwhelming and grand. The rain was still pouring but the clouds were below us and we were walking above the cloudy shelter alongside a lake. “Welcome to Sheshnag’ was written on a huge mountain and the lake was too grand in its shape and size. 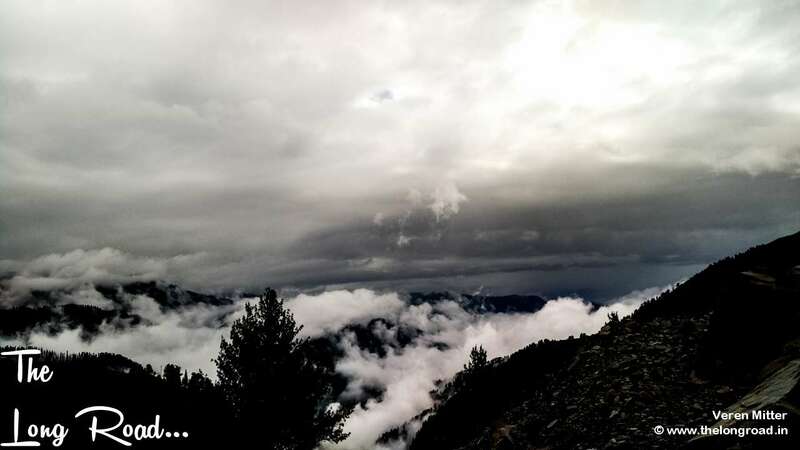 I realised that the cloud which was pouring rain on us was at height below us and it gave me sense of fulfilment . 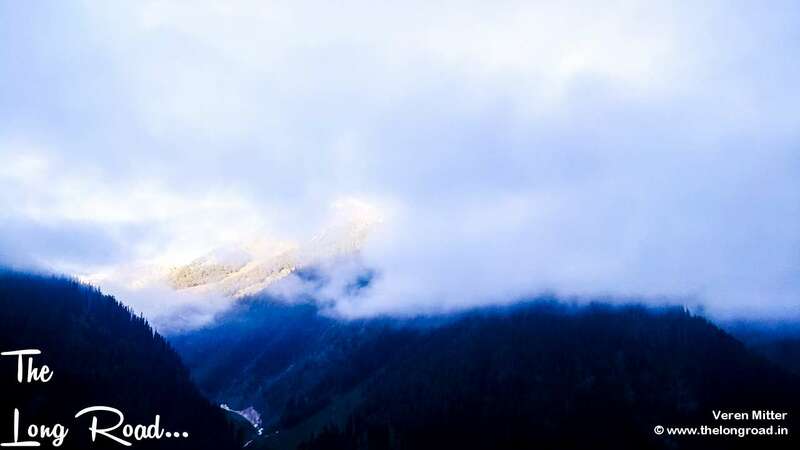 View of Sheshnag, Amarnath along cloud by the side. Sheshnag also have lots of stories attach to it. One stories go back to Lord Shiva climb and while going to Amarnath he stopped here and left his Sheshnag to the lake. People say they see Sheshnaag but it is a rare sight. 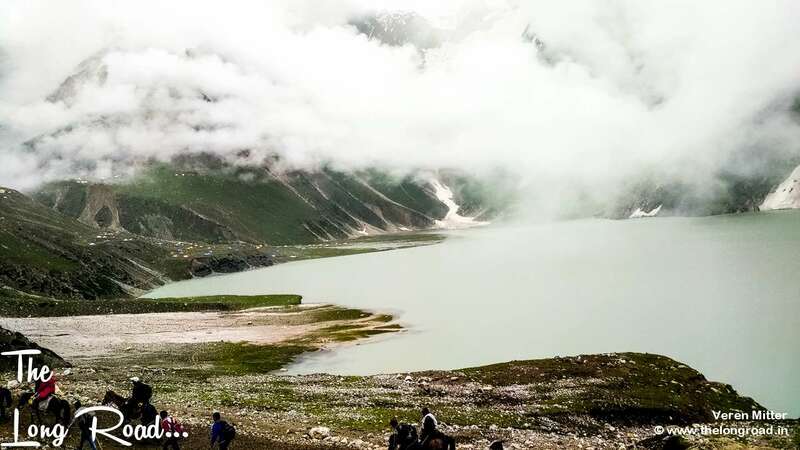 The Sheshnag valley is mystical and one can find different glaciers mountain lakes and get mesmerised. On another side of lake is Tri mountain or the Three Summits depicting Brahma, Vishnu, Mahesh ( The Trinity) each. I stayed overnight in a camp set up by the locals. All drenched in water and a wet tent to shelter.I was puzzled. Soon the night was on its way toÂ taken charge. I had my late lunch and looked for a tent with minimal moisture and dry blanket. Finally went into a small cloth tent pitched on mud. the tiredness took over my conscious and I fell asleep. After a while I realised my body to have shiver and temperature to fight with. With two minds I took a Paracetamol and mustered courage to go out for dinner. I had my food at a bhandara/langar just to fill stomach with some carbohydrates for next day climb. The atmosphere though was Euphoric, with people dancing to glory with praises of Lord Shiva. I was feeling weak and wet with fatigue taking over my analytical and reasoning power. I was in two mind for the climb ahead as climb in mud slush and rain had taken my mind in a grip. I slide my way back to the tent with water and slush all around and realised a calling STD booth in front of me. I decided to call home to update my family about my well-being. I dialled the phone and spoke to my mother. I asked for my wife and had a small chat with her. After the call I went back to tent and retired for the day. While on my way back I also heard about the stories of people falling into gorge along with mule they were riding. I smiled and slept. Next morning I woke up at 03:00 am and came out of my tent. 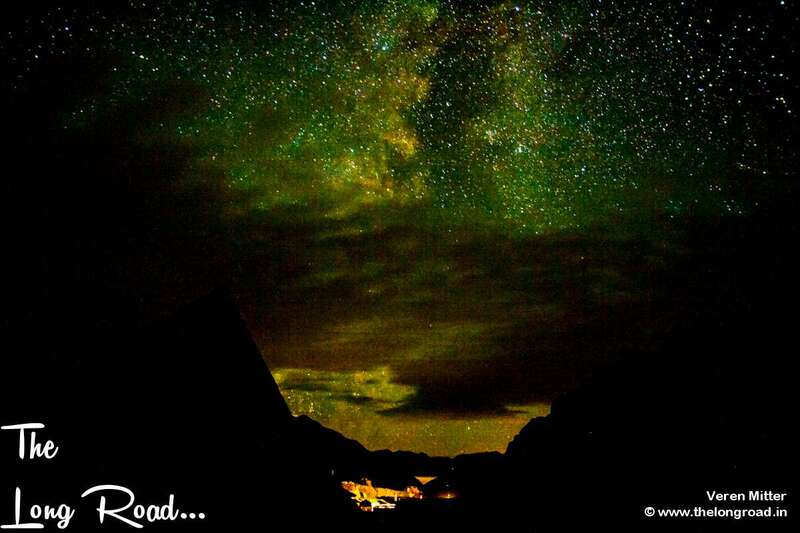 The celestial activity above my location took my attention and I was gasped by the galactic milky way above me. Seeing the clear night sky and the terrestrial body above me I felt a surge of energy and all my doubts about continuing the climb vanished. I took out my camera and tripod and tried to capture the sky along with its galactic milky way and stars twinkling over me. The sight I can never describe in words and the energy I experienced was extrordinary. 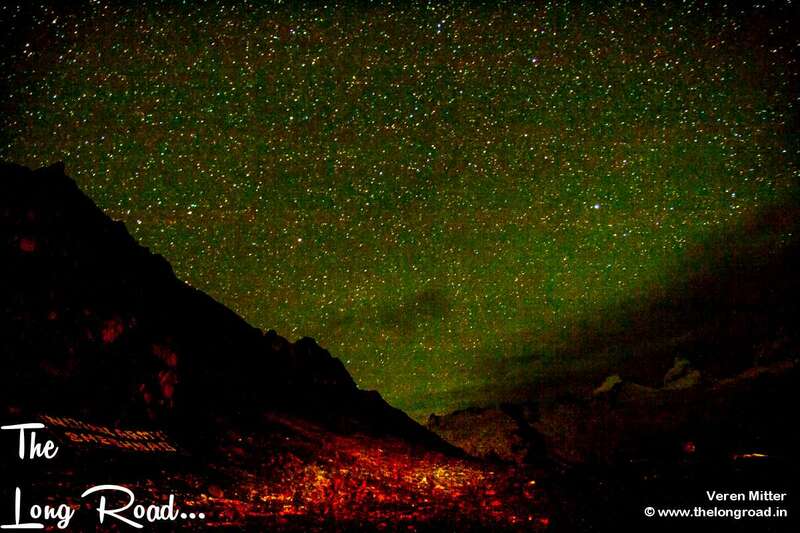 Sheshnag lake at night with divine celestial activity above it. 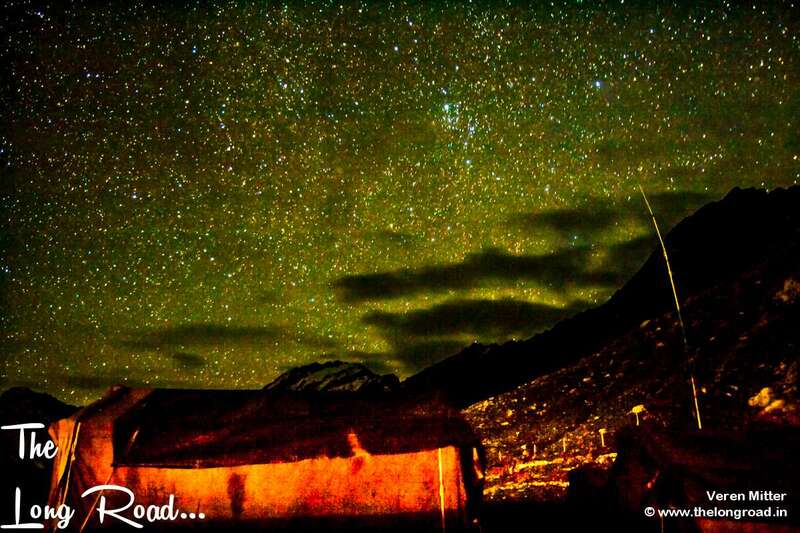 Stars above the Sheshnag camp at night with divine intervention. The divine valley of Sheshnag at early morning. After the charismatic morning I was fully charge to head towards the holy cave. I got ready early and was waiting for officials to open the route for Ganesh top. The first light in valley was so overwhelming as the God himself is guiding the pilgrims. I still remember the experience with clarity and sense of enlightenment.I would like to share the photos with you of twilight at Sheshnag. The sun spreading its aura at Sheshnag valley, waking up the human kind from sleep. The tri mountain peaks at Sheshnag. brahma, vishnu and Mahesh. After experiencing the divine morning at Sheshnag I continued my climb towards Ganesh top or the MahaGuna top. By now I had experienced the unexpressed energy of Sun-God and the valley. The experience I had in Sheshnag changed my outlook to world forever. The sun rays enlighten me from deep within and inspired me to take on life in a better way. Now the climb starts to ascent again and climb opens into the highest part of the journey. The MAHAGUNA TOP and passes through a frozen glacier. The route is gradual but strenuous with camps and medical assistance on every 3 km. The air is rarer and the vegetation is missing giving you a feel of mountain pass at 14500ft. Going down towards Posh part from Ganesh Top. After the breath-taking view of glacier of Ganesh top we ascent into a beautiful valley of Posh Patri and further ahead to Panchtarni. The experience at the highest point is so overwhelming that you forget the tiredness of climb and start dancing to the tune of nature as if in a trance. You realised there is so much more to explore in this world and the journey till now is just a trailer. The view is magnificent and you will be spell-bound with the mountains around. 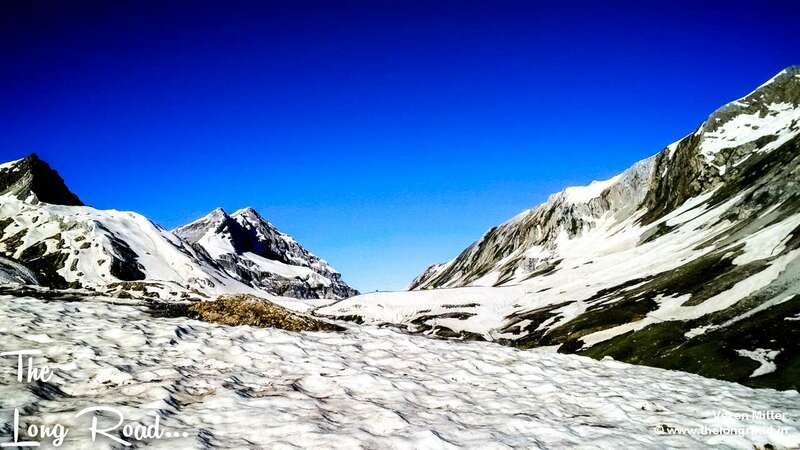 The highest point in the yatra also comes with health issue as oxygen is less and at 14500ft you are not allowed to stay for more than one hour as acclimatization issue can overcome the body. If possible and health permits, do spend some time here and praise the Lord Shiva for his creations and beauty. It is said that Lord Shiva left his son Ganesh at this place and continued his journey to Holy cave. Human is so tiny is this world. After steep climb to ManagunaÂ pass and crossing the glacier one comes down to green meadows. 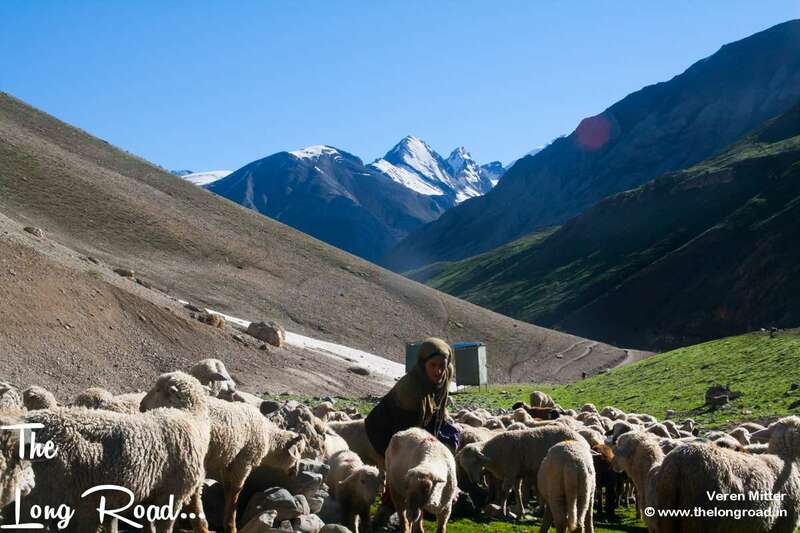 the route get enthralled with grass meadows grazing sheep and water bodies. The area gives you a fresh view and the route passes through waterfalls and rivulets. The meadows offer chill and wind. The name originates from five rivers. It is said that Lord Shiva released its river from his hair at this place. The place is beautiful and one can stay overnight to experience the mystical mountain before final ascent to the cave next day. Shepherd grazing Sheep in meadows of Poshpatri and Panchtarni. Meadows of Panchtarni. The place where Shiva left five rivers and symbolic five elements Earth, Fire, Water, Air and Sky. After enjoying the meadows and five rivers at Panchtarni I started my final ascent to the Holy cave. This is also the place where helicopter leaves the pilgrims for yatra. The bright sun amid green meadows actually charge you with vigour and josh. 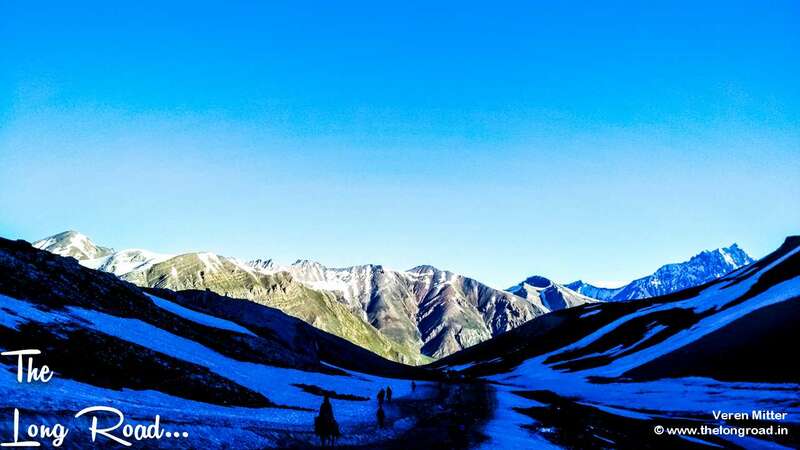 The last leg of yatra passes through Sangam where route from Baltal meet the traditional Pahalgam route. The two rivers Amravati and Panchtarni meets at Sangam. People take dip at the Amravati river before the visiting the cave and the view is magnificent with white glacier all around. The cave is seen at a distance and the fervour is to be experienced at this place. My experience to cave is difficult to describe in words. I submitted my luggage and other stuff to a local shop keeper and started walking towards the cave. The overwhelming feeling was gripping me from all directions and I started chanting Om Namah Shivay sponteniously. The energy of the place was so strong and pure that my mind was taken over by soul and a pious divine force was leading my way to Shivling. Even while writing this blog and final paragraph I can feel the same ecstasy but its so hard to describe in words. All my pores and body part work working in tandem with mind surrendering to almighty Shiva. The stairs leading to Shivling was full of energy and I never felt I have travelled 34 kms in mountains to reach here. On final sight of shivling my eyes were wet and soul was pure. I felt as if some divine energy has blessed me and given me energy to move on in life. The feeling was overwhelming and path guiding. My life changed forever and till date whenever I close my eyes and remember holy Amarnath, I feel energized and pious. There is a holy energy guiding our way and giving us energy to be in this world. 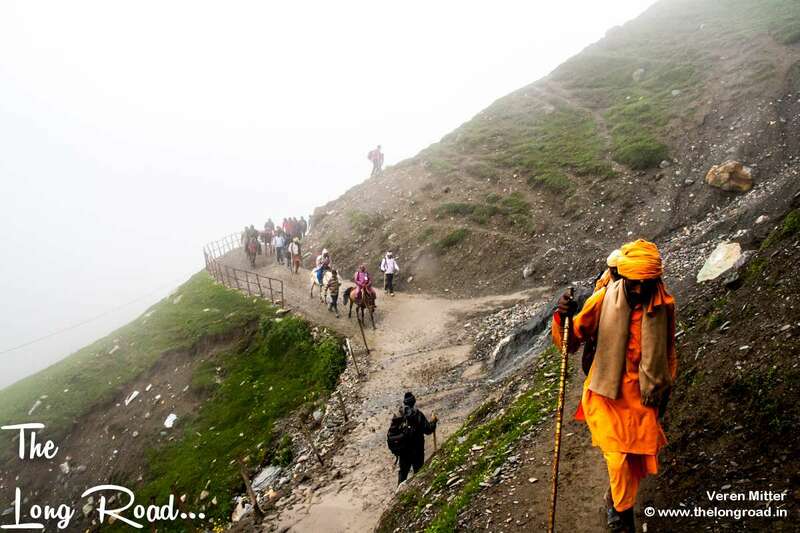 The Amarnath is full of stories of Lord Shiva and the most popular one told enroute is here. It is said that Maa Parvati ( Wife of Lord Shiva) asked Lord Shiva about the secret of becoming Amar ( Immortal). Lord Shiva with Maa Parvati took this journey of Amarnath to tell the story to her in absolute secracy. He started climbing mountains from Pahalgam Chandanwari where he left Nandi and reached Pissu ghati. At Pissu ghati he left his Pissu from hair and body. At this point their was a fight between Danavs (Rakshas/ Demons) and Devtas ( Gods). DevtasÂ defeated Rakshas and powdered there bones. Further reaching Sheshnaag Lord Shiva left his Snake from the body. Reaching Managunas pass he left his son Ganesh. Continuing his journey to Panchtarni he left open rivers from his Jatain ( Hair). He performed tandav ( A trance Dance) just before the cave and took a seat with Maa Parvati at the holy cave. He made sure that before he narrated the secret of Amarta ( Immortality) to Maa Parvati there should be no living being around. While he was telling the secret Maa Parvati fell asleep and there was pigeon present in the cave who listened to the secret in full. On knowing this Lord Shiva got angry and the story goes on. It is said that the pigeon is still seen in the cave, as it is the only living being to know the secrets of immortality. Though I was lucky enough to see a pair of them. Amarnath is situated in Jammu and Kashmir state of India. 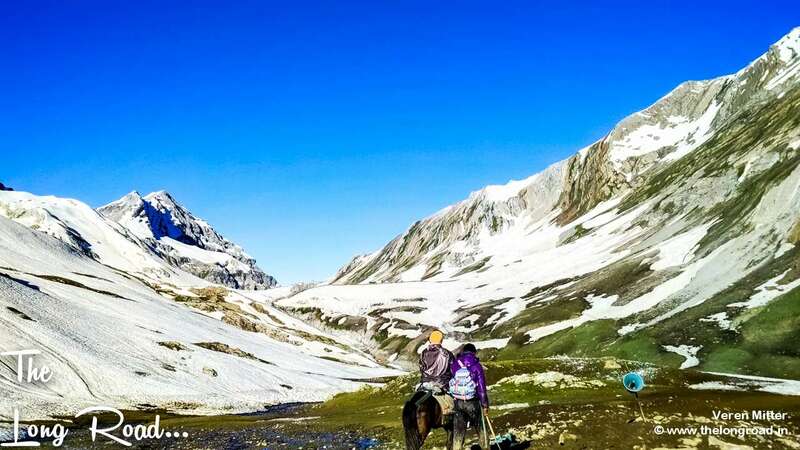 The holy cave of Amarnath can be reached by two routes one is the traditional route via Pahalgam Chandanwari 34 km, it is said that the Lord Shiva went through this route and the other route is Via Sonamarg Baltal 13 km. 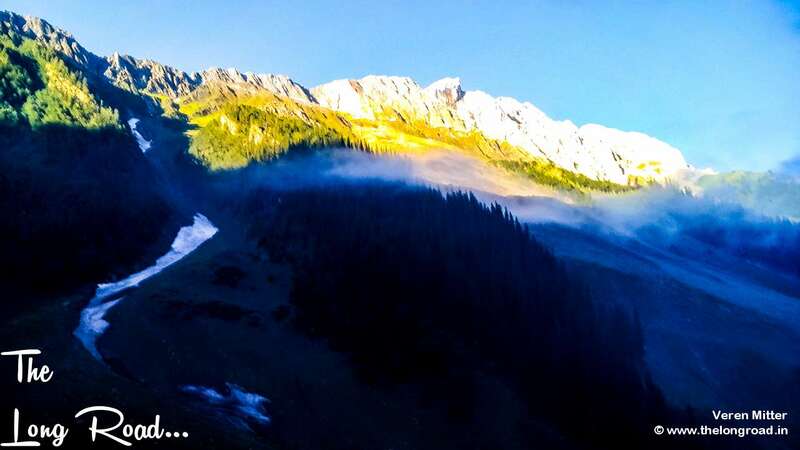 the traditional Pahalgam route is very scenic and ascent is gradual. It passes through many important historic landmarks along with rivers and waterfalls enroute whereas the Baltal route is newer shorter and steep. 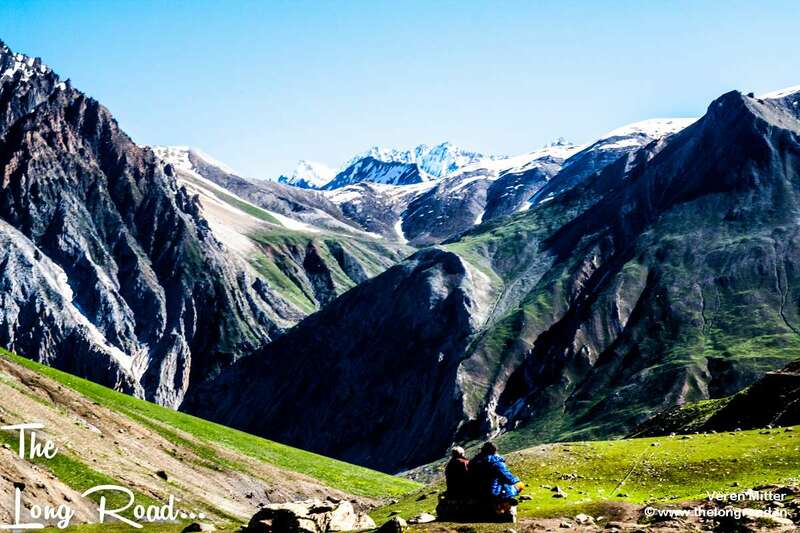 I personally recommend Pahalgam route as this yatra offers lots of stories and natural miracles to experience. 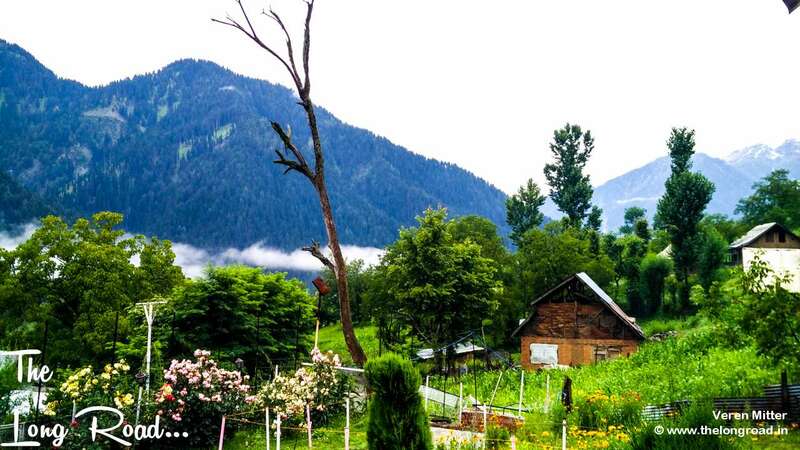 Both the base camp Pahalgam and Baltal can be easily reached by car or bus via Jammu and offer ample place to stay. The yatra opens in month of July August every year and Amarnath shrine board undertakes administration of the same. Both the route offer enough places to eat and stay with medical camp at every 3 km. The Amarnath yatra needs a prior registration and medical fitness certificate by the shrine board. The registration can be easily done by any of the J&K bank counter in any part of India with a small medical certificate from local civil hospital. the registration opens in month of March and it is advisable to register early as dates and route can be chosen as per your own choice. One can tweak itinerary as per his own choice. I am sharing the itinerary which is recommended and I followed. Amarnath yatra-Day 1 Jammu- Pahalgam: Reach Jammu at morning. head towards Pahalgam via Udhampur and Anantnag. 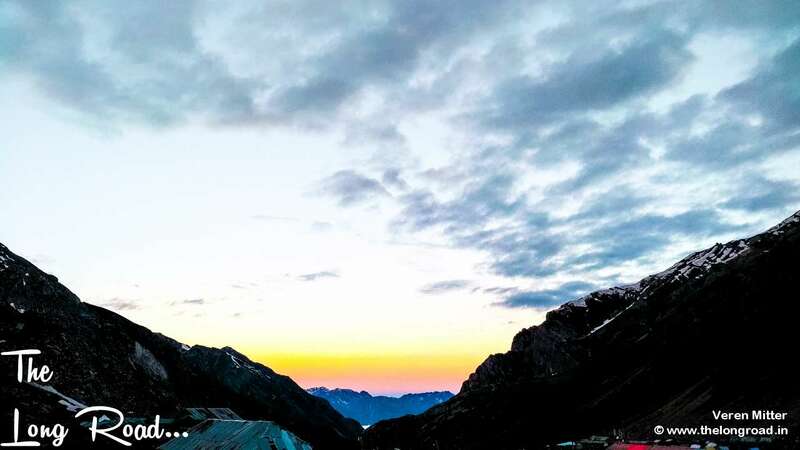 Amarnath yatra-Day 2: Pahalgam-Sheshnag: Reach Chandanwari from Pahalagam at morning and start the climb in the morning with night stay at Sheshnag. Amarnath yatra-Day 3: Sheshnag- Panchtarni: Start early from Sheshnag and cross ManagunaÂ pass by early after noon with night stay at Panchtarni. Amarnath yatra-Day 4: Panchtarni-Holycave-Panchtarni/Baltal: One can start early in morning from Panchtarni to visit the holy cave and fall back to Panchtarni by evening. Another option is to go to Baltal after cave and finishing the yatra by late evening. I went to Baltal on my descent and stayed at camp in Baltal at night. 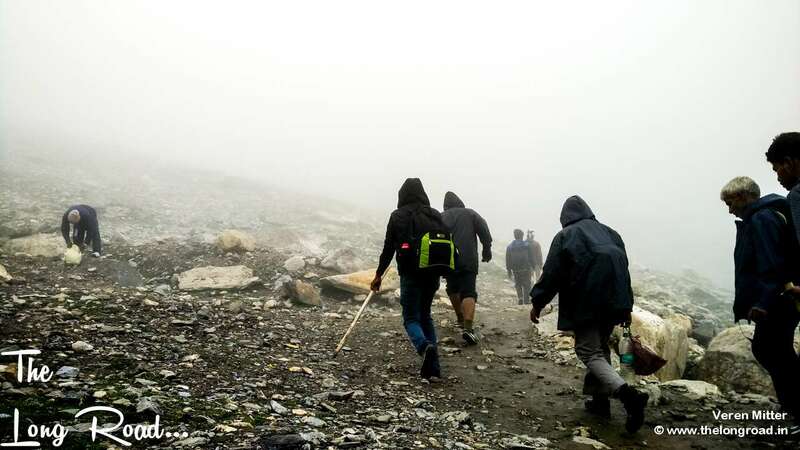 Amarnath yatra-Day 5: Panchtarni-Sheshnag: Descent back to Sheshnag and stay at camp. Amarnath yatra-Day 6 Sheshnag-Pahalgam: Descent back the same way and finish the yatra at Pahalgam. 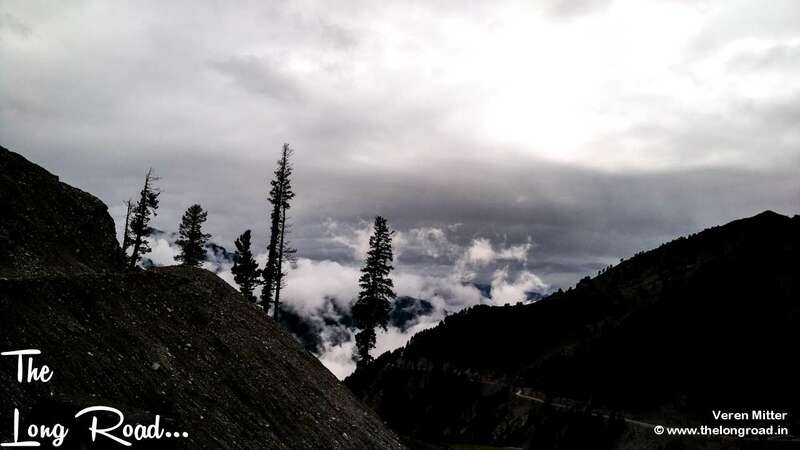 Amarnath yatra-Day 7: Pahalgam- Jammu: Head towards Jammu and take the appropriate connectivity ahead. Amarnath yatra-Day 1: Jammu-Srinagar-Sonamarg-Baltal: Reach Baltal via taxi or bus with night halt at Baltal. 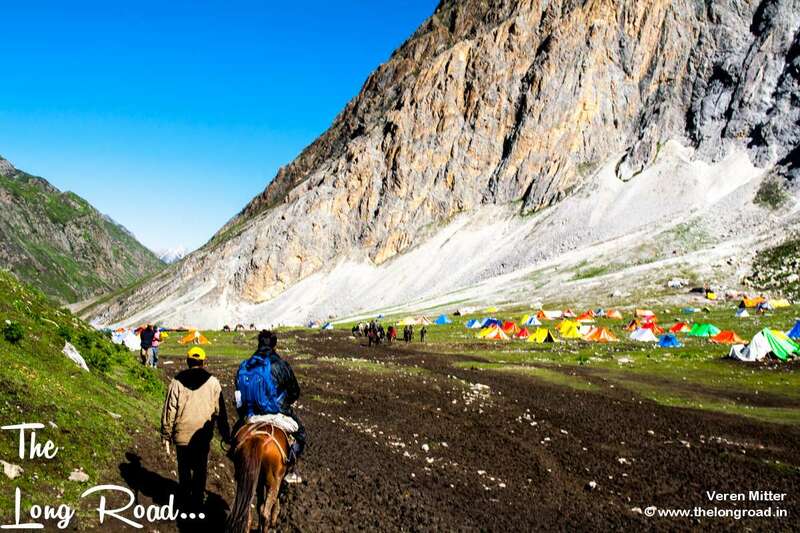 Amarnath yatra-Day 2: Baltal-Holycave: Start early in morning from Baltal and visit the temple by early after noon. One can stay at Holy cave or turn to Baltal the same day by late evening. Amarnath yatra-Day 3: Holycave-Baltal-Srinagar-Jammu: People start early in the morning and reach Baltal by 10 Am to catch Bus /Taxi to Jammu. One can also stopover at Sonamarg or Srinagar while going back. The Amarnath yatra is climb of faith and determination and I suggest one should undertake this yatra at least once in lifetime. I feel it can change your life forever and the faith can reach to a different level. Myself coming from Arya samaj family with no influence of Lord Shiva since childhood,This yatraÂ changed my perception of Hinduism as a religion and theÂ immense Faith in Lord Shiva. I am a changed man and now take life differently. Lord Shiva the eternal force which drives the universe is to be experienced and not be discussed.The climb gives you different thoughts and energy at different points. I do remember the song THE CLIMB by Miley Cyrus and its lyrics to sum up my journey. The mere thought of climb of Amarnath yatra stirs energy in me and I feel connected to the eternal power. I leave the piece with a mystical photograph I took in morning with determination to come again. Mystical View of Amarnath Glacier from bottom. I would really appreciate if you leave a comment below and I would more than happy to reply you back. A relentless Traveler and a Landscape photographer, has many interest in ambit of Exploration and finding Happiness: A Short Walk down the trail, A night lying on the barren Helipad and counting stars, A car drive with friends down the Muddy road, Coal Burnt hot corn in rain under a thatched hut, A paraglide from the worldâ€™s second highest jumping spot, or finding his own Cleopatra while walking through the mummies, are only some of the recreational activities, I indulge in. A keen explorer, with tadka of Adventure, I am a foodie at heart and passionate about Photography. I live in Amritsar. I hail from Army family and have gone through the rigours of Army Officer training myself. Travelling and meeting people have been always a part of life, which I thoroughly enjoy. A keen adventurer myself, I have been organizing adventure tours for friends. As I always say its a long road and exploration should never stop. 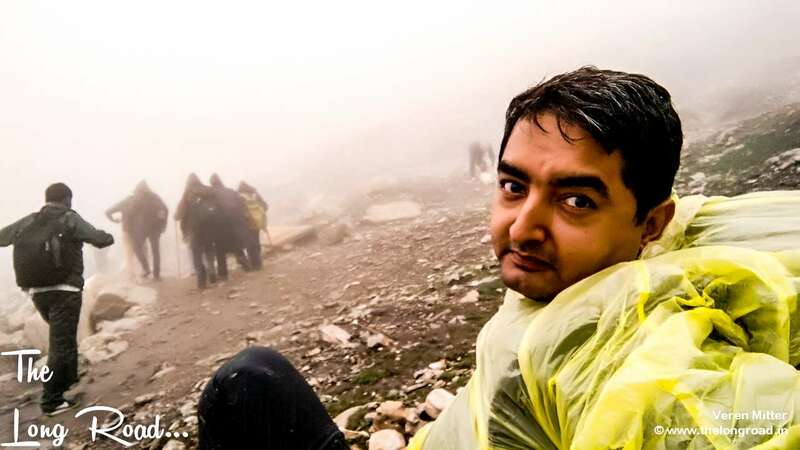 good Amarnath yatra experience you shared on amarnath. Thanks. One must visit Amarnath, Jammu and kashmir via pahalgam once. A scintillating write up…the zeal and fervor is clearly visible in your words. I am also due to undertake the Divine Yatra this year in July. May Baba bless You!!! Thanks. Amarnath yatra was a life changing experience for me. I am sure you would also go through the enlightenment and blessing of Lord shiva. All the best and do share your experience of Amarnath with me. Om Namo Shivay. You have captured your experience very nicely. It inspires the reader to go for this life changing experience. Thanks. Charisma of amarnath is too big to write in words though tried put words to it.